Alexis Fair, a masters candidate in the Cooper Hewitt/Parsons program, sat down with me to talk about the Weeksville Heritage Center. Which she covered in a course on period rooms. Founded in 1838, Weeksville was the second largest free, African American community in the U.S. in the pre-Civil War era. The settlement was named for James Weeks who, along with a group of African-American investors, acquired property in the area. Weeksville was almost lost to history when urban development threatened to erase the physical memory of the historic community. 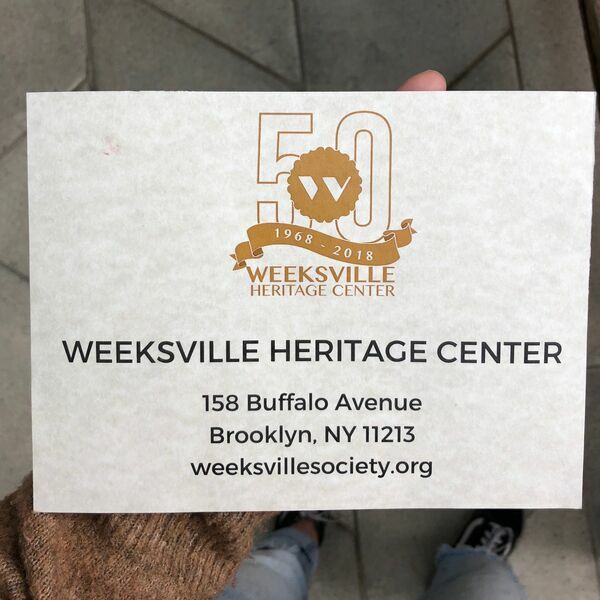 A grassroots effort to document the history of Weeksville and preserve the remaining properties emerged in 1968 through the leadership of local historian James Hurley, Dr. Barbara Jackson, and artist and activist Dr. Joan Maynard (the found Executive Director). Today Weeksville stands as a multi-dimensional arts and cultural space. The Hunterfly Road Houses are New York City landmarks and have been listed on the National Register of Historic Place since 1989. All content © 2019 DecArts.